To think about something that has previously been impossible -- real wireless power -- is a difficult thing for many people. Especially for engineers, inventors, and thought-leaders who have been frustrated by the wireless energy options, and limitations, they have seen to date. Is Wireless Power Possible Now? 1. Is Wireless Power Possible Now? Whether you’re a scientist, inventor, product developer, or product designer, you know that when it comes to creating real wireless power, we are only limited by our imagination, not by what it truly possible. The number of smart phones, IoT devices, and wearables designed, shipped, and purchased grows exponentially with each year. This presents a tremendous opportunity not just for inventors of true wireless power, but also for the innovators of technology and devices -- both consumer and commercial -- and the organizations that will host the power. 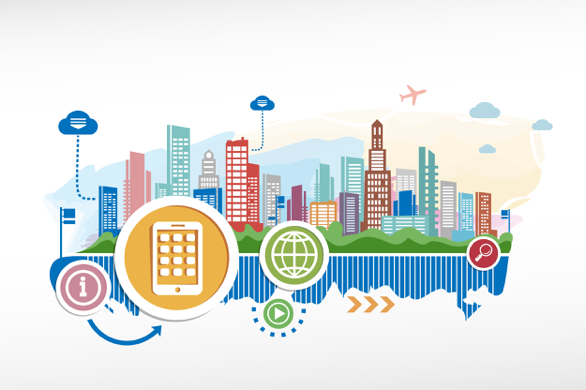 By 2020, more than 30 billion connected devices will need power; how they are designed, developed, manufactured, delivered, maintained, and recycled all are influenced by the type of wireless energy they draw from. Just imagine what you could you design if battery capacity wasn’t a limiting factor for mobile and IoT devices. Yes, wireless power will lead to faster processors, brighter screens, and better connectivity, but this is just the beginning of what’s possible. Look deeper into our wirelessly connected future. How will our immediate futures be influenced by true wireless power? How will this energy source work? We currently have an incredible opportunity to deliver intelligent wireless power to devices around the globe -- energy that is similar to how WiFi works but for power instead of data. Picture yourself walking into a coffee shop and all of your smart mobile devices -- your phone, tablet, wearable -- immediately start charging safely and quickly. Or you own a grocery store chain, and all your handhelds, price lists, and signage are always current, available, and charged or drawing wireless energy when needed. Imagine never having to worry about plugging in or recharging or having your customers, drivers, physicians, clients, or visitors finding themselves low on power. When you stop placing limits on the realm of possibilities, it changes the very core of not only the future of your company, but also the future of how we all live. Here’s why wireless power is the killer app of our connected future. 2. How Will Wireless Power Change the Way We Live? Remember the world before Internet? Now imagine the world before the Internet was even a spark of an idea. The wireless power technology we’re developing today at Ossia will have major implications on our future daily lives. We believe wireless power should be easily accessible to developers and technology manufacturers. By partnering and collaborating with people who not only understand and believe in this vision, but also are thinking beyond the realm of possibility -- that’s where the big changes begin to happen. What Does Wireless Energy Mean for Your Company’s Future? Try this experiment: everywhere you go for one full day, count up how many pieces of technology that rely on power. Then consider all the manual processes we take care of individually, at work, and in society that could be automated and digitally managed with easily transmittable wireless power. Now imagine that you and your organization are the key, the innovator who helps facilitate this change. Ossia is seeking such thought leaders who are dedicated to improving lives today and for tomorrow by advancing technology. Ready to start the conversation? 3. How Does Wireless Power Work? Wireless power over distance is a transformative technology. This emerging power delivery system will completely change the way people work, live, and play. Consider how power is distributed today to the typical household, office, warehouse, or retail store. Cables and disposable batteries support hundreds of devices wherever you go. Devices either need to be plugged into an electrical or USB outlet or have their batteries replaced or recharged on an ongoing basis. And that doesn't even touch the surface of what’s needed to run electrical wiring to place outlets in areas that need energy, add surge protective power strips, or use extension cords safely. Now consider real wireless power -- that’s energy that’s delivered wirelessly without the need for cables or batteries or power pads -- over distance: that’s what we’ve developed at Ossia. We call this groundbreaking wireless power technology Cota®. Many companies may claim to have a wireless power solution, but Cota is the only one we’ve seen to date that demonstrably works, safely and effectively. Not only that, but it’s also the only wireless energy source that works at a distance without line of sight. 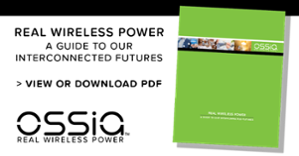 Effectiveness, distance, and non-line-of-sight are critical components to adoption in the real world. A receiver chip, built into a device, sends out a small beacon signal that seeks the transmitter. Once received, the transmitter safely sends power back through all of the exact paths from where the beacon was received. This multi-path functionality allows it to continuously send power from the transmitter, which can fit into any environment, even a ceiling tile. Both sides -- the receiver and transmitter -- are capable of sending and receiving, which means functional and effective energy delivery. The power is then only delivered to the receiver’s antenna, and nothing and no-one else. 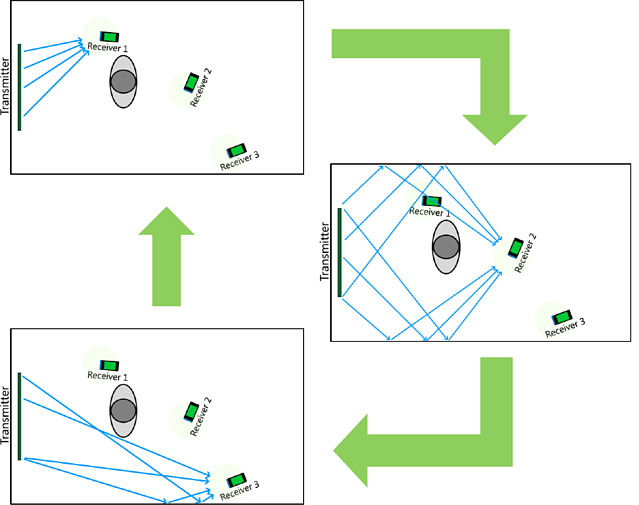 This “pinging” process occurs up to 100 times per second, which allows power to be safely sent over a distance and while the device is in motion, even if people or objects are in the way. Cota’s multi-path functionality coupled with sending the beacon 100 times per second allows the technology to track a device in motion seamlessly, while sending it continuous power. Here’s how businesses can integrate Cota into their plans for product innovation and leadership in the wireless space. Eliminate current design constraints of power cords, charging stations, plugs, or battery capacity for future products, and fit Cota’s receiver into current or new designs. Give your innovation team sky’s-the-limit opportunities to innovate on product features, such as faster processors, brighter screens, better connectivity, higher definition cameras, and get ahead in your market. Wireless power is coming, be ahead of the trend and grab critical market share. Invent brand new technology never-before possible now that you can send and receive power from everyday devices. Countertops and glass surfaces can now be powered to display data; coffee tables or picture frames can send power to all the small devices in the room. Use Cota to ensure your time-sensitive devices -- think scheduling, medical care, logistics, communications -- are always on and charged. 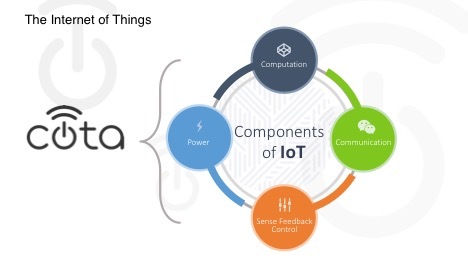 The Cota platform includes receivers, in the form of a small silicon chip, that integrate with a variety of devices, transmitters, and cloud-based software for managing connected devices. This combination gives you complete mobility and freedom when using the technology. The transmitters themselves can be very unobtrusive. 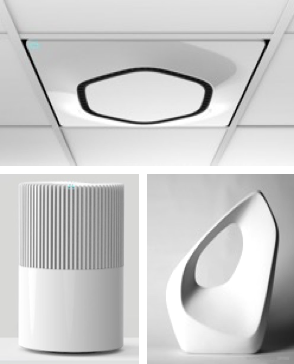 As an option, you can change the way power is distributed in a room by replacing standard drop ceiling tiles with Cota Tiles that wirelessly deliver power to Cota-enabled devices. In fact, the Cota transmitter is form agnostic, which means it could take any shape, such as a personal area charger that sits on a desk, a picture frame, or built into a countertop or desk. Our vision is to build an ecosystem where wireless charging is the common denominator, just like the electrical outlet is to the billions of electronics that plug in today. We are partnering with visionary enterprises to make this happen. 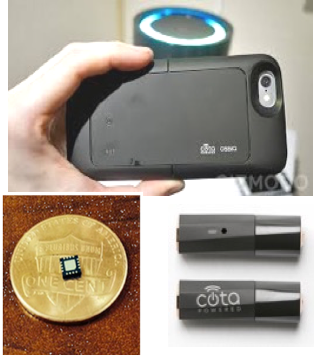 Here’s more about how to get Cota’s wireless power into your product. 4. Is Wireless Power Safe? The Cota technology is a complete shift from the history of wired power and is based on physics, with safety inherently built right in. Any organic object (like a person) blocking the beacon is naturally avoided, because the beacon would not reach the transmitter. In other words, any path with people in the way could not be used for Cota’s wireless power delivery. Imagine you are standing in a room of mirrors from floor to ceiling, holding a lit candle (your device). The light from the candle is a signaling beacon to the transmitter. The transmitter, also in the room, can “see” countless beams of light bouncing around and converging at the candle itself, because that is their source, so it knows where to send energy. When the signal touches an object, like a person, it doesn’t result in any reflection at all. And when the transmitter doesn’t see an image coming from that direction, it doesn’t send power toward it. The beauty of Cota’s wireless power—and what makes it inherently safe—is that it naturally avoids people, pets, and plants. Cota is comparable to WiFi or Bluetooth—the signals reflect off walls, ceilings, and floors to find multiple paths between the transmitter and receiver. It’s not only the most efficient way to send signals between a device and a power source, but also it’s the safest. We don’t have to write code or algorithms to encourage the transmitters to send power in a particular way. If we did, there’d be room for human error. Instead, Cota’s technology relies on the physics of the signalling technology, which automatically avoids living things. Not only is Cota’s wireless power technology safe for all living things, it’s also better for the environment than many of our current energy options. Take disposable batteries, for example. Disposable batteries contain toxic materials such as lithium, mercury, acid, lead, nickel, cadmium, and graphite. Mining these materials can be harmful to communities, and safely disposing of them, so the toxic metals do not contaminate soil or groundwater, remains a societal challenge. Also wired chargers consume energy continuously. Cota only powers devices that actually need to be charged. It hibernates when not in use, which saves an enormous amount of power. Cota is real wireless power -- no cords required, no throwing away batteries, no energy waste. It’s a clean-charging technology that only turns on when your devices are in range. In December 2016, Cota passed the FCC requirements written for Bluetooth and Wi-Fi for safety and interference. The FCC does not currently have testing requirements for wireless power transmission, because it’s an emerging technology. We plan to continue to work with the FCC to establish standards for wireless power safety and help shape the future wireless charging industry. Read more about how Cota technology is inherently safe from Hatem Zeine, the physicist who invented Cota. 5. What Are the Benefits of Wireless Power? Wireless power completely changes the way we interact with technology: more mobility, more freedom, more connectivity, and more possibilities for innovation. The impact goes beyond how we charge devices. Wireless power means we will use technology more often and in more situations. It means companies will create more applications that were previously limited by wired or battery energy sources. Wireless energy will lead to so many services and products that we cannot imagine today. But what are the end benefits of wireless energy now? Smaller environmental footprint. An obvious consequence of not needing batteries is not needing to manufacture or dispose of batteries. Also, Cota technology is only using energy when needed. Convenience. Devices that are always on, always charged means no missed opportunities or time searching for energy sources, available outlets, or the right battery. Innovation. 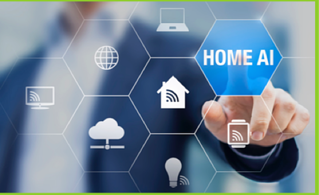 New product and process designs and development, products, features, applications, and interconnectivity are all made possible with wireless energy. Reliability. It always seems that a device is low on power when we need it most. Some people rely on their devices in life or death situations. For some, down devices can add up to thousands of dollars of losses. Attractiveness. As an early adopter of wireless power, your organization and brands can stand above the competition in intrigue and desirability. Although many companies are starting to boast the benefits of wireless power, few, if any, have a functioning model that works as easily as WiFi. It’s safe. When people, plants, pets, or organic matter are in the path of transmitter signals, Cota uses an alternative path. The energy moves around obstacles, similar to WiFi, and is naturally safe for all living things. It’s smart. Cota looks for patterns in device usage and monitors devices when they leave or return to automatically charge any device in range without disruption. People can monitor and control the settings of Cota through a dashboard on their smart device. It’s clean. Cota is a clean-charging technology that turns off when your devices are out of range. It’s small in size, which means it can integrate into an existing battery design with no requirement to accommodate different-sized batteries. It works. Cota happens without your thinking about it. There’s no plugging and unplugging, or remembering your charger, or finding a free wall outlet. It’s automatic -- and the energy transmitter can even be masquerade as a ceiling tile. It’s got range. Ossia’s wireless power smart antenna technology can power Cota-enabled devices that are several meters away. When you use four linked Cota Tiles, you’ll expand the power radius to provide energy in large rooms, homes, stores, hospitals, and other commercial spaces. Read more about the magic behind how power is wirelessly transmitted between the Cota receiver and transmitter. Ossia is making what we may have previously thought impossible -- real wireless power -- possible. The Cota technology will revolutionize not only the way we charge our devices, but also how we design and develop our products, processes, and services and how we all live day to day. We invite you to join us in helping advance wireless power and make it as ubiquitous as the electricity wall outlet. Wireless power begins now.